SAN FRANCISCO, March 19, 2019 /PRNewswire/ -- Roberta Katz, Chair of the Exploratorium's Board of Trustees, announced today that nine new members have been elected to the nonprofit's Board. Charged with overseeing the management and direction of the Exploratorium and its finances, the Board is the highest governing body of the organization. The newly-elected members come from a variety of backgrounds—from Nobel Laureate to veterinarian to philanthropist to technology officer—and include: Scott Borduin, Martha Ehmann Conte, David deWilde, Jonathan Heiliger, Alison Mauzé, Laurie Olshansky, Saul Perlmutter, Cameron Phleger, and Albert Richards. "We are thrilled to welcome our newest members to our dedicated and passionate Board of Trustees," said Roberta Katz. "Each of these individuals will bring a unique and visionary perspective to our organization at this important moment in our history—our 50th anniversary. We want to make sure the Exploratorium maintains its momentum into the future, and our Trustees are a crucial part of that journey." 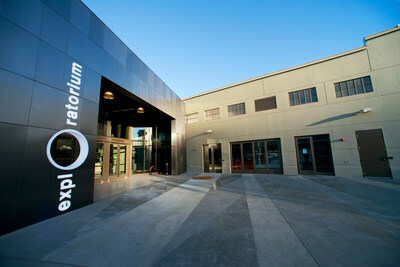 The Exploratorium is currently celebrating its 50th anniversary year, and is focusing its straegic plan on inspiring visitors at the museum on Pier 15 in San Francisco with new exhibitions and programming, empowering educators in classrooms across the state of California and beyond, and fueling a global movement of experiential STEAM learning through partnerships and collaborative consulting work. "I look forward to working with these impressive individuals," said Chris Flink, Sakurako and William Fisher Executive Director. "Their diverse professional backgrounds, perspectives, and commitment to our mission will make the Exploratorium stronger and more resilient as we look ahead." To read more about the Trustees, see the Exploratorium's website. The Exploratorium is a portal to the astonishing scientific phenomena that animate our world and shape our actions. We create extraordinary learning experiences that ignite curiosity, upend perceptions, and inspire brave leaps forward. Since 1969, the Exploratorium's museum in San Francisco has been home to a renowned collection of exhibits that draw together science, art, and human perception, and that have changed the way science is taught. Our award-winning programs provide a forum for the public to engage with artists, scientists, policymakers, educators, and tinkerers to explore the world around them. We celebrate diversity of thought, inspired investigation, and collaboration across all boundaries.